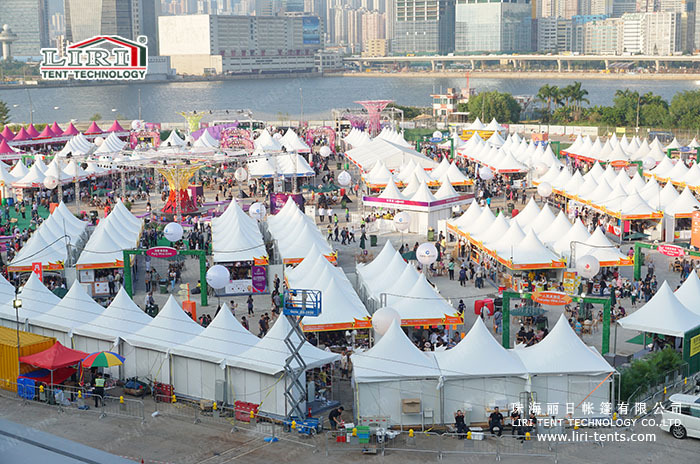 Many large events require a lot of space; in the case of inclement weather,it is important to have a sufficient amount of shelter. Temporary structures are a cost-effective way to provide shelter without constructing an entirely new building. Temporary shelters are also a great way to store equipment,including heavy machinery and cars. With so many different styles and sizes available,it is easy to find a structure that will meet your needs. Many weddings are held outdoors; bad weather should not dampen the happy mood of these occasions. 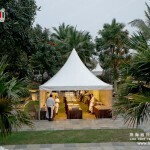 Structures can be set up temporarily to protect guests from the weather. These structures are great for other large events too,like family reunions. Additionally,they are a great way to store cars if you do not have the money or desire to build a garage. If you are planning a building or remodeling project that requires large equipment,a shelter is a great way to protect any tools and machines from damage. These shelters are so effective that many construction companies rely on them for all their large projects. Temporary structures work well,whether you use them for a single day or a few years. These structures can be made from a variety of different materials. 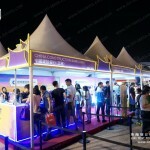 Basic tents are often constructed of durable,weather-resistant fabric and metal legs. Another choice is a temporary warehouse structure. 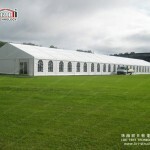 They usually offer more strength and security than a tent,so they are used for longer-term projects. These insulated buildings are usually made with steel or aluminum frames and steel walls filled with foam. The roofs are made of inflatable vinyl fabric that eliminates condensation and adds strength. Depending on what you will use a structure for,then you can determine what type is best for you. There are many different sizes available; price usually varies accordingly. 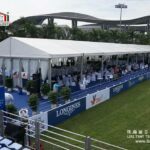 Fabric structures commonly range from ten to one hundred and fifty feet wide,up to one hundred feet tall,and can be almost any length you choose. The range of sizes of warehouse structures is not as broad,but there are still quite a few choices. Most offer any length you want,but companies often limit customers to four or five predetermined widths and heights. Tents are usually cheaper because they are easier to move and set up; also,the materials are less expensive than the ones used for warehouse shelters because they are less durable. 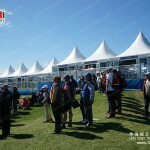 After you have selected the dimensions of the shelter you want,most companies will offer a free price quote. Regardless of whether you are planning a big building project or a special family event,temporary structures can be very useful. Instead of constructing a costly permanent building,you can rent a temporary one that you can return when you are finished. Temporary structures are an effective way to get the shelter you want at a price you can afford. Do you have a wedding planned and need more room? Looking for a temporary structure to store your household items while remodeling your home,then visit the website http://www.marqueetentsforsale.com to find the best advice on all things to do with temporary structures for home,garden and commercial applications.